As organizations become increasingly reliant on cloud-based IT, the threat to data security looms larger. Employers are seeking qualified professionals with a proven cloud security skillset, and the CCSP credential brings your resume to the top of the pile. CCSP (ISC) 2 Certified Cloud Security Professional Official Study Guide gives you the tools and information you need to earn that certification, and apply your skills in a real-world setting. ABOUT THE AUTHORS Brian T. O'Hara, CCSP, CISA, CISM, CRISC, CISSP, is Information Security Officer for Do it Best Corporation and an ISSA Fellow. He serves as President of the InfraGard Indiana Members Alliance, a partnership between the FBI and the private sector. Ben Malisow, CISSP, CISM, CCSP, Security+, has been involved in INFOSEC and education for more than 20 years. At Carnegie Mellon University, he crafted and delivered the CISSP prep course for CMU's CERT/SEU. Malisow was the ISSM for the FBI's most highly classified counterterror intelligence-sharing network. Cloud computing has been transforming the way the world conducts business for some time now. Organizations are rethinking their IT strategies and embracing the concepts and practices of cloud computing as a way to be competitive in today's global markets. In addition, the information security industry has begun to recognize the uniqueness of this specialized, new, disruptive force and the need for trained professionals with the right cloud security knowledge and skill sets. 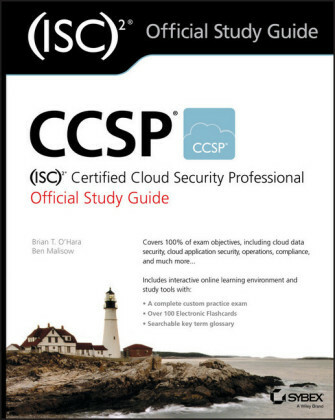 The Certified Cloud Security Professional (CCSP) certification was developed by (ISC)2 in partnership with the Cloud Security Alliance (CSA) to satisfy the growing demand for trained and qualified cloud security professionals. The CCSP (ISC) 2 Certified Cloud Security Professional Official Study Guide offers the cloud professional a solid foundation for taking and passing the Certified Cloud Security Professional (CCSP) exam. 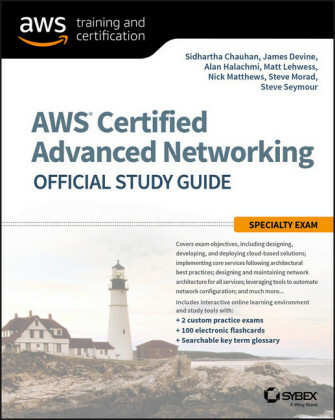 This book targets students and professionals attempting to further their professional lives by studying for and passing this challenging exam. A board of directors elected from the ranks of its certified practitioners operates the (ISC)2. (ISC)2 supports and provides a wide variety of certifications, including the CISSP, SSCP, CAP, CSSLP, CCFP, HCISPP, and CCSP. These certifications are designed to verify the knowledge and skills of IT security professionals across all industries. You can obtain more information about the organization and its other certifications by visiting www.isc2.org . These domains, created in conjunction with the Cloud Security Alliance (CSA), cover all of the pertinent areas of security related to the cloud. Computing knowledge and understanding of each ensures the cloud security professional is prepared to provide sound advice and best practices regarding all functional and security-related aspects of cloud computing. Candidates may find more information regarding each of these by visiting the (ISC)2 website at www.isc2.org/ccsp . 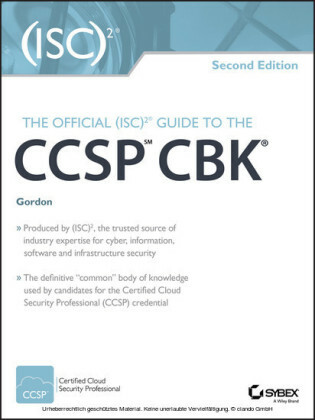 A minimum of five years of cumulative, paid, full-time information technology experience of which three years must be in information security and one year in one of the six domains of the CCSP examination. 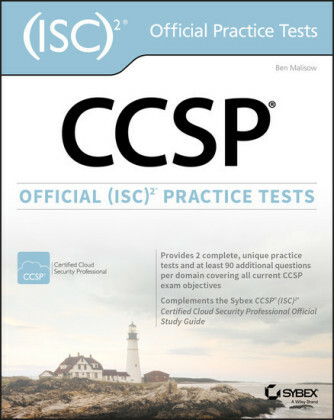 Earning the Cloud Security Alliance's CCSK certificate may be substituted for one year of experience in one of the six domains of the CCSP examination. Earning the CISSP credential may be substituted for the entire CCSP experience requirement. Candidates who do not meet these requirements may still sit for the exam and become an Associate of (ISC)2. You must also adhere to the (ISC)2 formal code of ethics, which can be found on the (ISC)2 website at www.isc2.org/ethics .